We offer this intermediate class in two separate sessions. 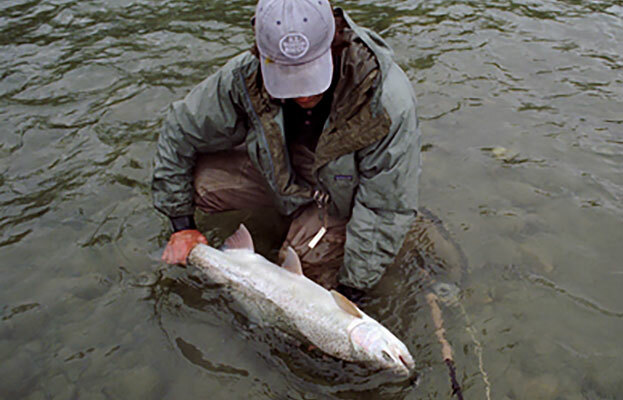 The first session will be from 7pm to 9:30pm at the shop and will cover the basics of steelheading including equipment, steelhead rivers, their runs, fly patterns, reading water and presentation methods. The second session will be on a local river from 8:00am to 2:00pm and will include casting, reading the water and presentation instruction. We spend plenty of time with each participant to ensure that they are mastering the appropriate casting and swinging techniques. Sometimes steelheading can be difficult and this class will give you a greater understanding of these elusive gamefish. The participant will finish the class with the necessary skills to hook more fish. Participants should plan on using their own equipment. Fishing licenses are not required for the second session. But if you plan to fish after the class, make sure and check regulations and buy a license from WDFW. Hope you can join us!